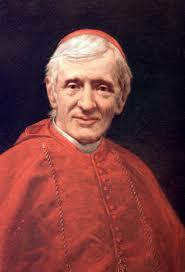 Cardinal John Henry Newman converted to the Catholic faith. He has a unique and beautiful understanding of the Assumption of the Blessed Virgin Mary. You can read it here. I remember when I was still studying Catholicism and considering converting, I found Blessed Cardinal Newman’s Apologia Pro Vita Sua on sale in a bookstore. It removed any and all doubts in my mind about converting.